Development of Windows has been criticized in the past for being slow. With the Technical Preview of Windows 10, it's just not possible to level the same complaint at Microsoft. It's only a couple of weeks since we got our grubby little hands on the embryonic build 9841 and tens of thousands of users have provided feedback. Now it's upgrade time. Build 9860 has been pushed out -- through Windows Update, no less... none of this messy ISO malarkey this time around -- so it's time to take a look at the work Microsoft has done. When build 9841 was released, there was disappointment from many quarters -- including here -- at just how little had changed since Windows 8.1. Jumping up 19 build numbers might not seem like much, but there are now a couple of features that were talked about at the launch of the Technical Preview that were not available in the first release -- but still no Cortana. On the face of it, little has changed. Fire up PC Settings, however, and you'll see a couple of new tools -- and something else we'll return to at the end of this post. DataSense is a new tool to help stay within data usage limits. It's a continuation of the 'metered connection' idea from Windows 8, and it makes it easy to see how much data has been download over cellular and Wi-Fi connections. 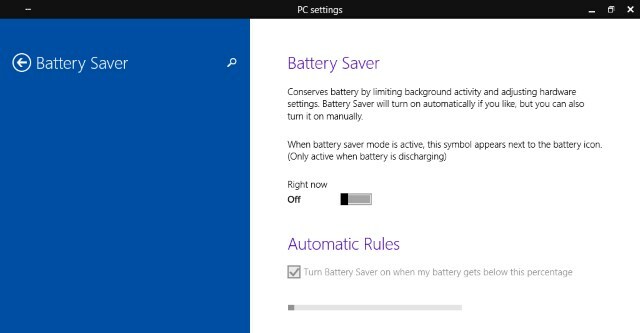 Another new setting is Battery Saver which, as the name suggestions, helps to conserve battery life on laptops and tablets. Both of these features will be familiar to Windows Phone users, and are indicative of Microsoft's merging of platforms. Back at the desktop is the much sought after notification center -- or the Notifications and Actions Center as it is currently known. It serves as a replacement for many popup windows, so you'll see email notifications here as well as information from Explorer and other applications. If an app or web service ordinarily generates some sort of popup notification, you should see them appear here, all collected together in one place from now on. 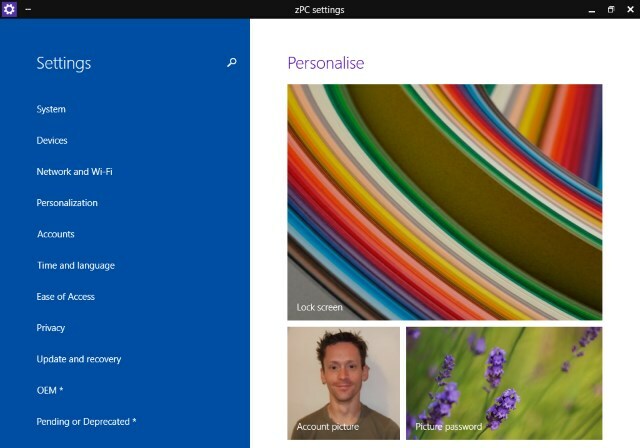 Nothing has changed in the Start menu, but take a browse through All Apps and you'll find a couple of new additions -- DockingController, and PC Settings. At the moment it appears that the former is not working, but will presumably provide access to settings for docking laptops and tablets. PC Settings does work (although there are lots of bits and pieces missing), and seems to be a merging of PC Settings with the traditional Control Panel. 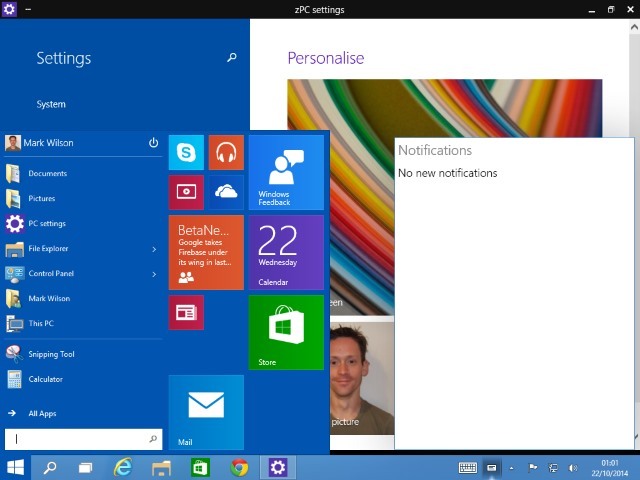 There are also minor tweaks such as new animations that accompany the opening of Windows. Some people suggested that this gives Windows 10 something of an OS X feel -- albeit with a significantly lower number of animation frames -- but really it's just a little eye candy. Windows do not jump out of or into taskbar buttons any more -- the center of the desktop is the start and end point for animations now. We've already looked at some of the new keyboard shortcuts that were introduced, and in this build there's another shortcut that will be of interest to multiple monitor users. To move a window or application from one monitor to another, just press Windows key + Shift + arrow key. In the blog post announcing the availability of build 9860, Microsoft's Gabriel Aul gives a little detail about the process involved in getting the build to its public release. Using imagery that conjures up images of the circles of Hell in Dante's Inferno, we are told that there are five rings of development starting with Canary -- where internal daily builds are to be found -- right up to the outer rings which are accessible to those signed up for the Windows Insiders Program. At least there are now five rings of development. Build 9860 has been made available through what is known as Windows Insiders Slow. The presence of the word 'slow' implies there is a faster option, and indeed this is now the case. For anyone happy to work with less stable builds, it is possible to opt to access the Windows Insiders Fast ring. This means you can get builds that have passed through the Canary, Operating System Group, and Microsoft rings, but may not necessarily have had enough kinks ironed out to be deemed ready for public consumption. Fancy getting your hands on future builds a little faster? Head to PC Settings, click Update and recovery to the left and then select the Fast option from the Preview builds drop down menu. That's all there is to it. 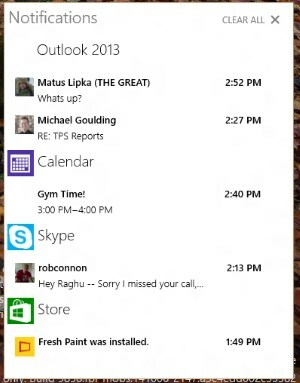 And that's also all there is to it for Windows 10 Technical Preview build 9860 -- at least on the face of it. It would appear that the majority of the near 7,000 changes have taken place under the hood. Aside from the components that are clearly not finished yet, the build feels solid and stable -- but the same was true of build 9841. Have you spotted any new features or settings that we've missed?